War in space! Transforming super robots! Burning, hot-blooded emotional drama! 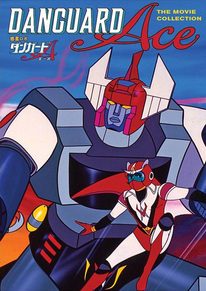 Danguard Ace is a classic of Japanese animation: created by artist Leiji Matsumoto (Space Battleship Yamato, Starzinger), and originally featured as part of the Force Five series broadcast on US television. A new planet named Promete is on the verge of entering our solar system. The World Space Institute tries to reach this new world to tap its resources, but a mysterious malfunction leads to tragic consequences for the brave space pilots and their mission. Years later, the next generation of pilots, including Takuma, the son of an astronaut who disappeared during the first attempt to reach Promete, trains for a new voyage to the mysterious planet. Takuma and his friends are stationed at Jasdam Base, a high-tech facility where construction has begun on Danguard Ace, an incredible transforming robot that Takuma is destined to pilot.